Don't make any major moves until you read this guide first. This 5-page guide will help you navigate those first critical steps toward making one of the most difficult decisions you may ever make. Learn why you should avoid making hasty financial decisions. Why you shouldn't tell your children too soon. Be careful about advice from family and friends. Keep things from getting ugly and nasty, and into a downward spiral. 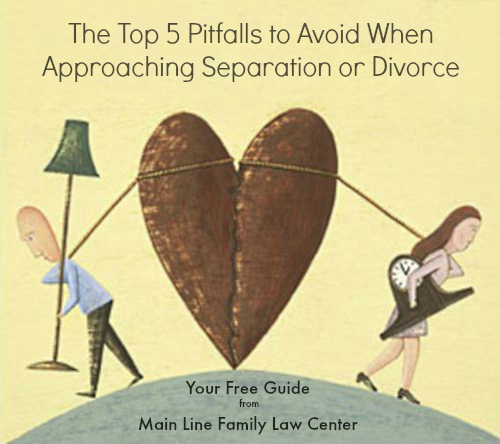 Main Line Family Law Center offers innovative and affordable solutions to separation, divorce and other related family issues by providing personalized, compassionate support and guidance in a calm, peaceful and non-adversarial environment.